President Donald Trump seemed to be very irritated his critics. This is after a very bad week of negative news coverage from the maiden. The negative news coverage came after Trump fired former FBI director James Comey. Trump addressed the latest Cost Guard officers and told them to "put your head down and fight, fight, fight” this means that he wants to show them that no matter what do not give up. Trump was talking to the class of 195 graduates. 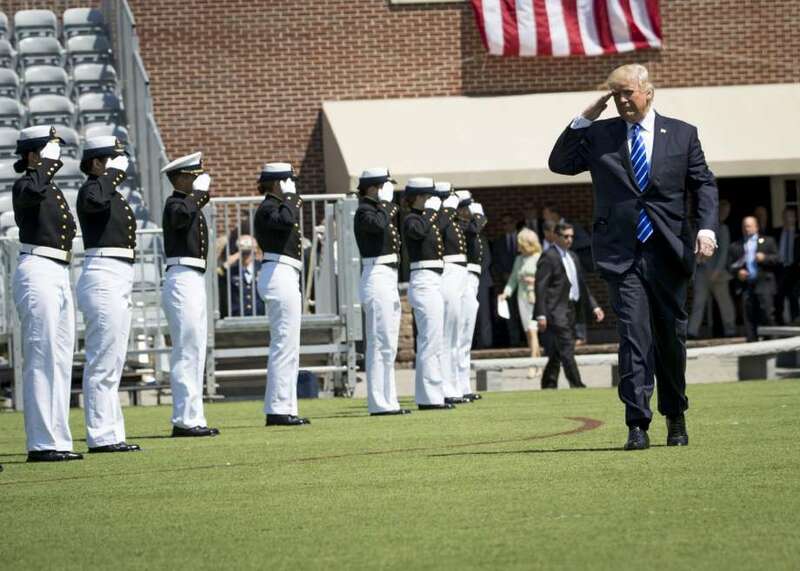 Donald Trump made the visit to the academy after reports were received about him telling Comey to abandon the investigation against Michael Flynn. Flynn was fired for misleading Officials in the White House about Russia and if he had any contact with Russians. In the more recent news, it is said that President Trump has disclosed classified information with Russian officials. However, he said that he had every right to do so. The President did not mention Comey for the nearly half-hour address but possibly alluded to him with mentions of controversies going on around him. "Look at the way I've been treated lately, especially by the media," Trump said. "No politician in history and I say this with great surety, has been treated worse or more unfairly. You can't let them get you down. You can't let the critics and the naysayers get in the way of your dreams." "Adversity makes you stronger. Don't give in, don't back down and never stop doing what you know is right," Trump said. "Nothing worth doing ever, ever, ever came easy and the more righteous your fight, the more opposition that you will face." President Trump also praised the newly appointed officers in the Coast Guard. These members will be an asset to Trump’s protection of the nation. It was also mentioned that they will be protecting the United States from "all who seek to do harm to our country." "Together, we have the same mission and your devotion and dedication makes me truly proud to be your commander in chief," he mentioned.